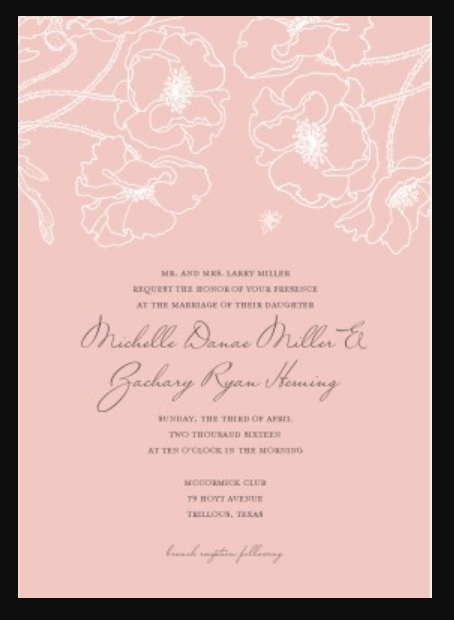 Are you have a plan to make a wedding invitation with pink color schemes? 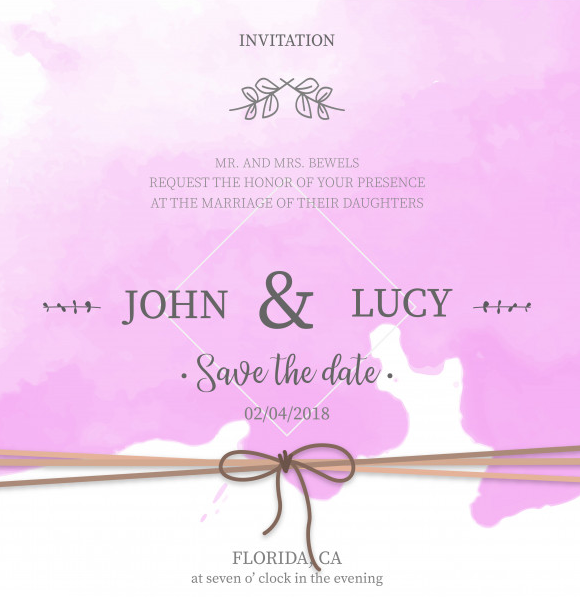 If so then you are in luck today, because in this post we’ve gathered some of the best pink style wedding invitation templates for you. 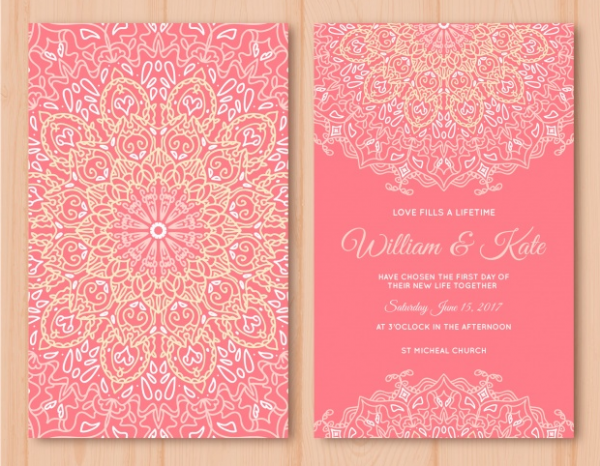 The pink color is bright, fun and romantic, it’s suitable and perfect color schemes for wedding invitation design. The combination between red and white is able to blend easily with other colors, especially the pastel colors. You don’t need to be a reliable designer with great design skills to create a beautiful wedding invitation design, these premade templates are easy to customize to your liking. 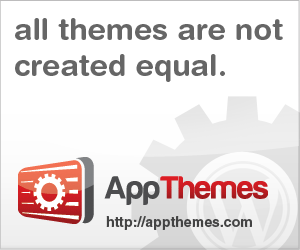 You can put your name, event details including location and time, change the color and layout easily. Let’s check it out. 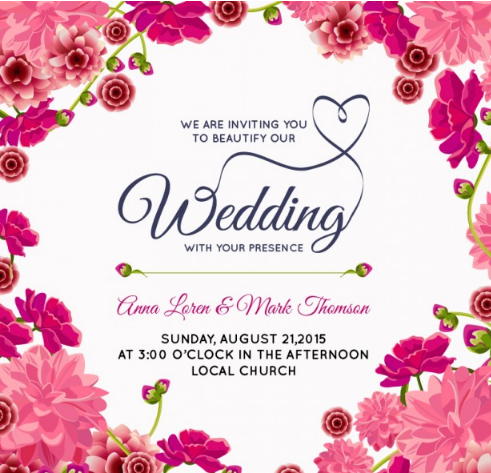 A beautiful and free pink wedding invitation template with floral background. Designed by Temploola. 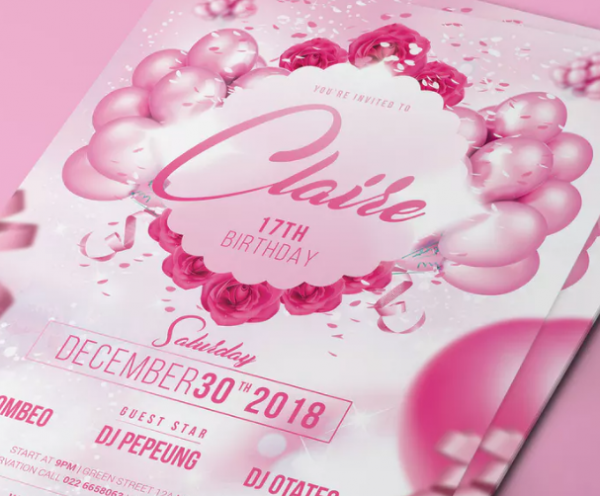 A set of invitation and RSVP template with stunning firework pattern, The files contain 5′ x 7′ (Invitation), 3.5′ x 5′ (RSVP) PDF templates and the font files. 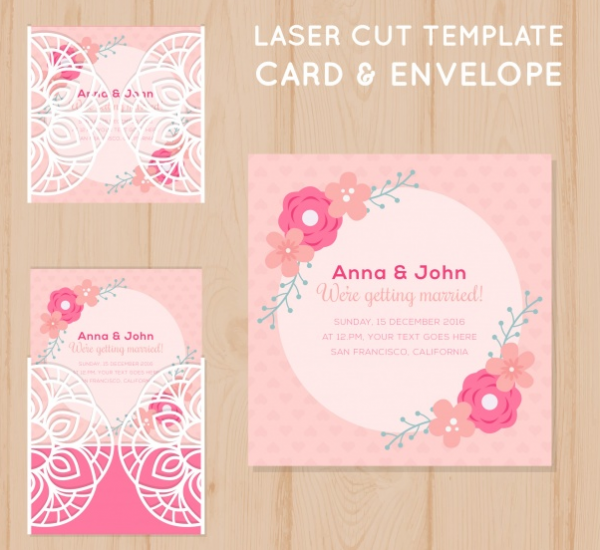 A simple yet modern pink laser cut invitation template with flowers and flat design. 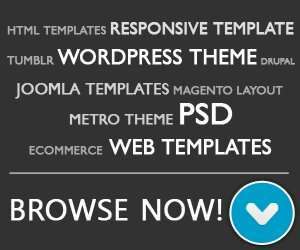 You can download this template at no cost at all. A contemporary minimal wedding collection in pastel color combination will certainly be ideal for your special day. 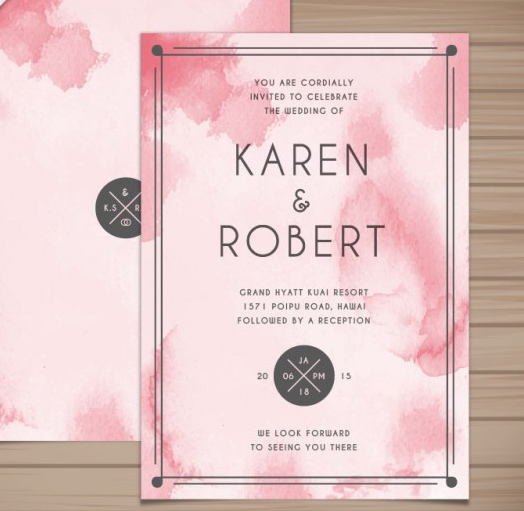 This suite comes with a 5×7 invitation design, a 3×5 response card, and a table number card. Each design comes in three colors: lavender, light blue, and khaki, and is available in pdf format. 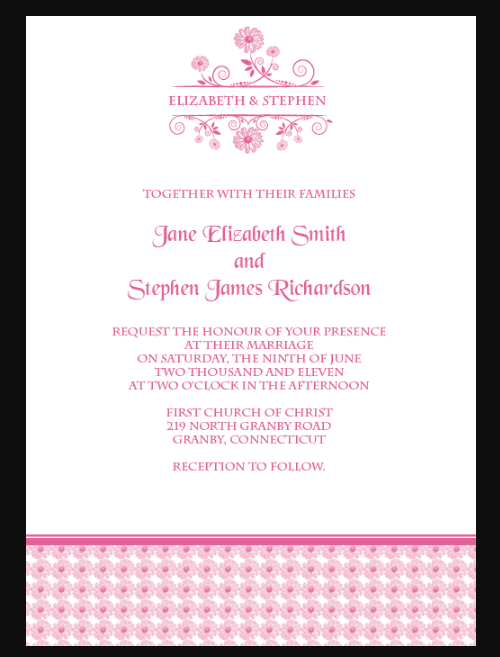 A multipurpose pink birthday / wedding invitation with 4×6 Inches + Bleed area, 300 dpi, CMYK and customizable text. 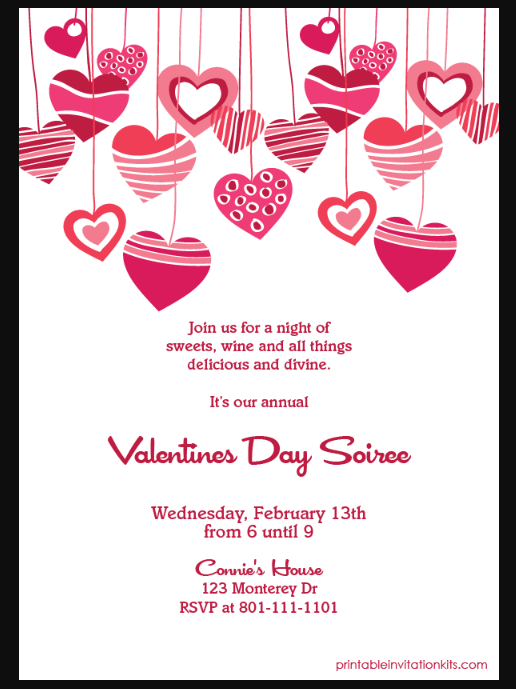 A new hearts valentine invitation which can be used for other parties and events and even for weddings. Because of our unique editable texts. 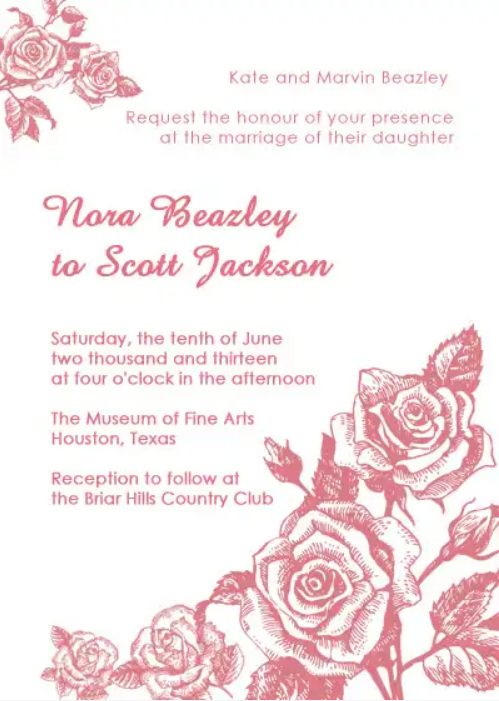 A printable pink / red floral wedding invitation which you can download for free. 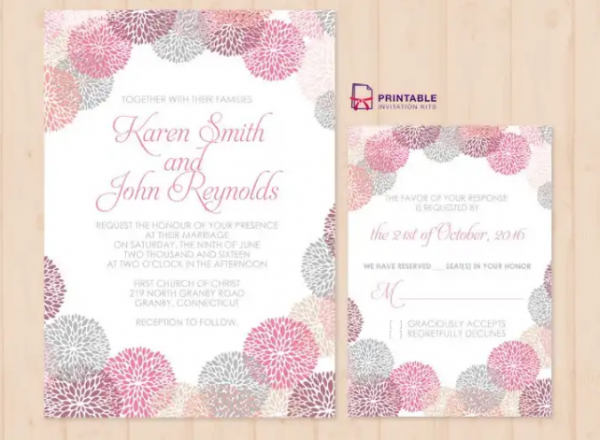 This invitation has a nice romantic layout and beautiful color schemes. 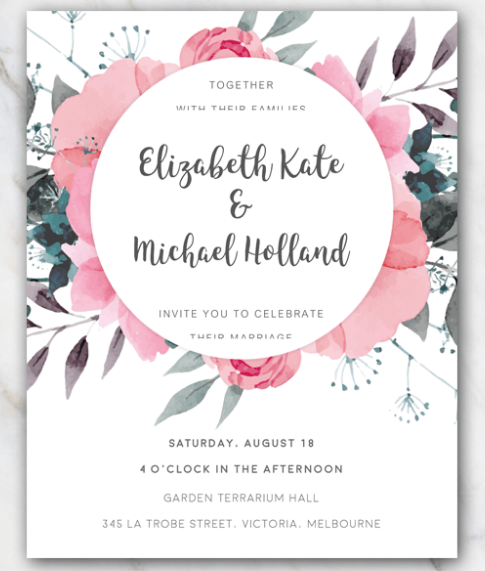 This 8.5×11 wedding invitation template features artistic poppies against a lovely pink backdrop. Perfect for a spring or summer wedding. 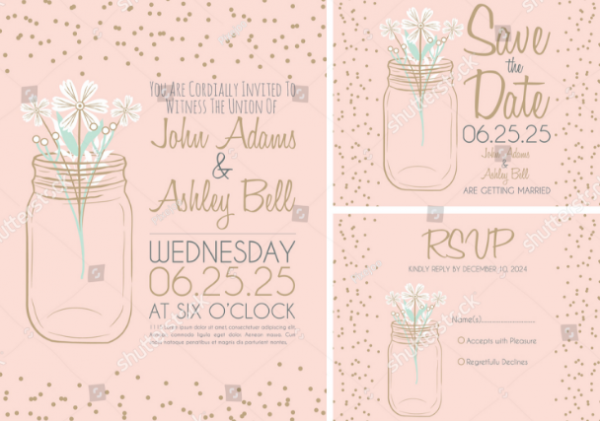 A classic pink wedding invitation template design with mason jar. 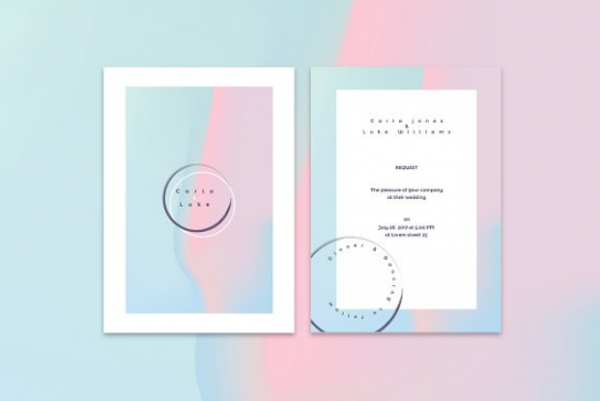 If you seeking a simple yet minimalist invitation then this template is perfect for you. 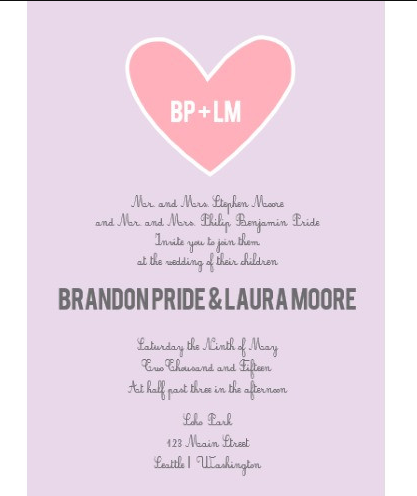 A new custom simple invitation designs sizes: 5″ x 7″ for invitations and 3.5″ x 5″ for RSVP cards. 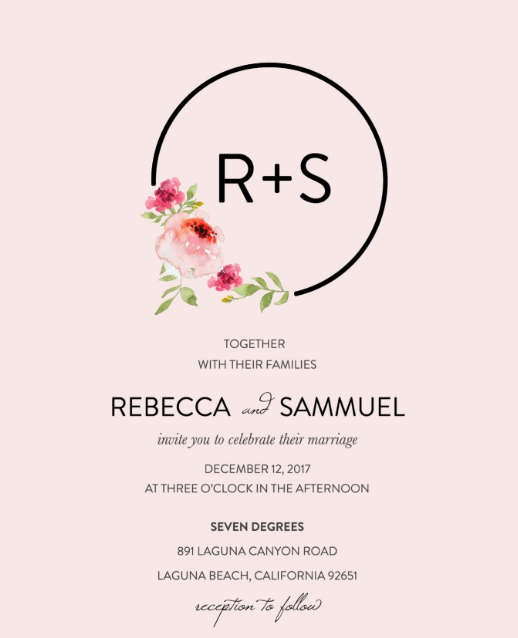 A romantic and simple wedding invitation that you can customize and print. All completely free for personal use only. 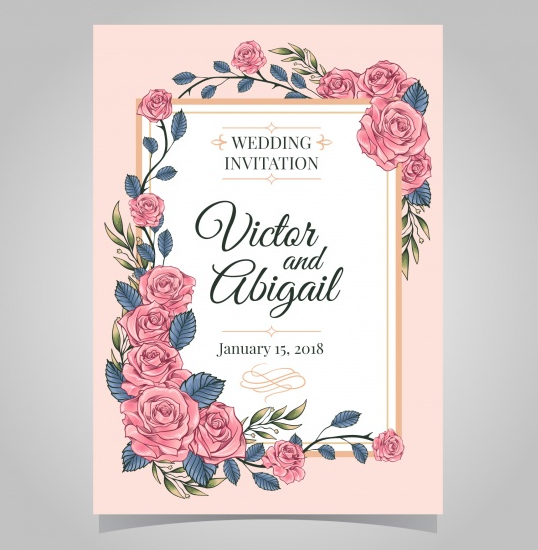 This free vintage style roses design is a good match for her wedding. 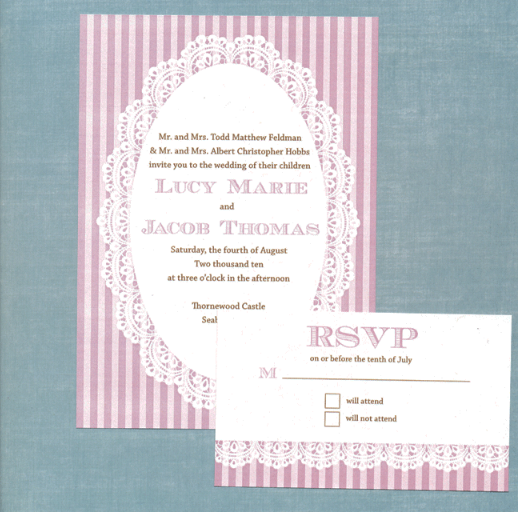 The invitation layout is in classic style and perfect for any weddings or events. 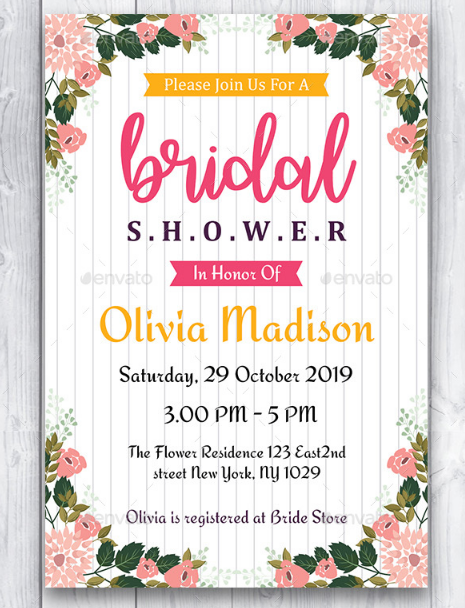 A bridal shower invitation template with 4×6 inch + 0.25 inch Bleed, print ready and avaiable in INDD + IDML format. Heart Initials printable suite comes with an invitation and RSVP card in either Polar blue or Twilight purple. 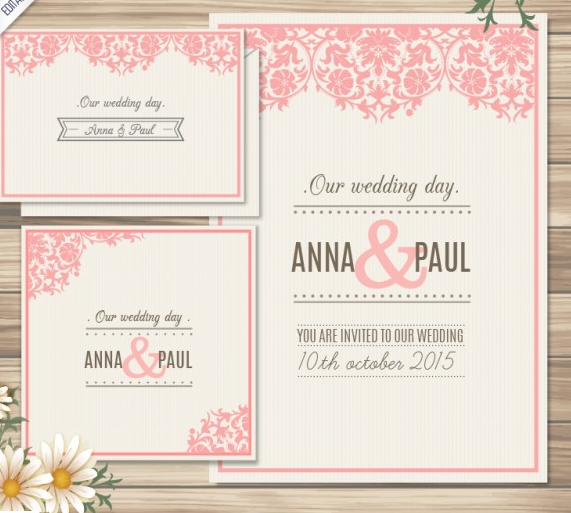 This beautiful set includes invitation, RSVP and Thank you cards. You can download and customize them for free. 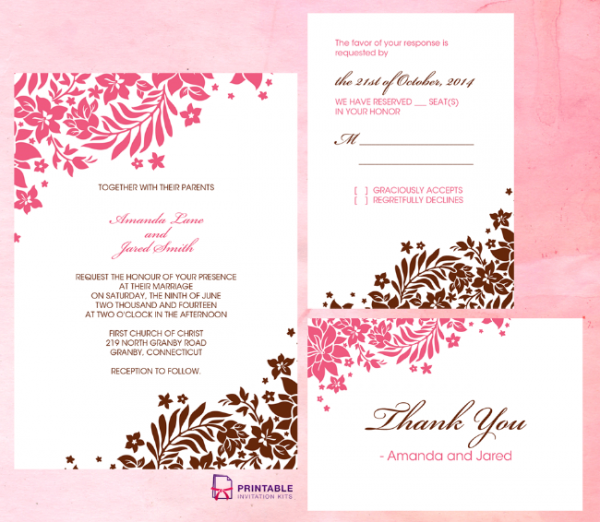 A nice pink abstract watercolor background invitation. This template is designed by Freepik.